It’s 3am. You’re wide awake because of insomnia and you can’t seen to get back to sleep. You try clearing your mind. You try relaxing your body. But as hard as you try, nothing seems to help your sleep issues. Every year, dozens of people seek the help of Kay Heatherly –– the #1 rated San Francisco hypnotherapist –– for sleep issues just like these. In fact, the National Institute of Health states that 70 million adults suffer from sleep difficulties… sleep issues have climbed to #2 in health complaints… in 2015, it was not even in the top 5! If you have chronic sleep problems that recur time and time again, Kay can help you get a good night’s sleep by teaching you how to fall asleep and stay asleep without taking pills that can leave you groggy or create a dependence. Kay will identify what seems to be the issue with sleep or getting to sleep. She will help you make a “laundry list” of those items that need to go and do a session of EFT––the Emotional Freedom Technique. This is an Energy Therapy in which she leads you through to “Let Go” and clear the energy meridians for change/healing to take place. She will also introduce you to The Stoppage Method, a cognitive behavior technique, that will help you eliminate negative or troublesome obsessive thoughts. Next, Kay will discuss what sort of quiet, calm, peaceful place you might want to imagine in your mind as a serene escape. She’ll then use that detail to recreate it for you with the progressive relaxation/guided visualization part of your session. 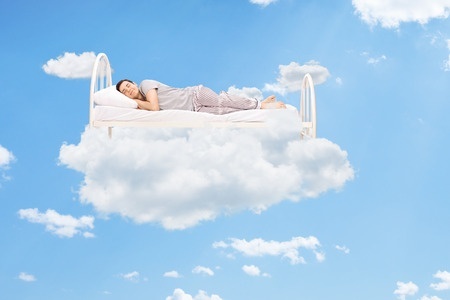 You’ll then be encouraged to close your eyes and to relax head to toe to calm your body and calm your mind to receive the positive suggestions as you drop off to sleep peacefully and remain asleep through the night. Kay will record the EFT and the Guided Visualization together as one recording and send it to you as an MP3 recording attached to an email so you can listen to it nightly to help overcome your sleep issues. To have Kay help you with your insomnia and sleep issues by using EFT, The Stoppage Method and hypnotherapy, please contact her today.